The Greek crisis is a term referring to one of many European sovereign – debt crises, which were triggered because of the Great Recession of 2008. The Greek crisis may have been caused because of inadequacies and weaknesses of the Greek economy and the skyrocketing of the country’s debt after it entered the European Monetary Union in 2002. 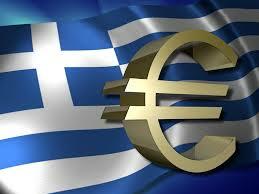 A crisis of confidence followed in international markets, amidst fear of Greece being unable to repay its debt. In 2010, it was agreed that a bailout loan would be issued for Greece, as long as the country would follow specific guidelines, such as implementation of austerity measure, privatization of government assets and a number of structural reforms. Soon, it was realized that the country would need more time and money for the recovery of its economy, thus leading to a second bailout loan in 2011. In May 2012, due to an inability to form a coalition government, rumours were spread about Greece leaving the Eurozone, the so called Grexit, thereby affecting international markets. A new coalition government was finally formed after the new elections of June 2012, which asked for an extension in the recovery programme of the Greek economy. A number of reasons led to the Greek crisis. First of all, government spending was far too high throughout the period after 1973, with budget deficiencies each year. Before the monetary union, the devaluation of the Greek drachma had helped in the financing of Greece; however, the introduction of a common currency, the euro, and the participation of Greece abolished this tool. Another important reason for the crisis was tax evasion and general corruption. Not only has the government income been much lower than anticipated each year after the restoration of Democracy in 1974, but the country also made a pact with Goldman Sachs and other banks to hide its deficit, thus being able to get more loans.